The Islands original form of industry can be observed overlooking the magnificent Salt Flats of Las Salinas. Dating back to the 13th Century, the Salts Flats financed the people of Ibiza for many years. Still today they remain as a symbol of the Islands rich history, whilst contributing to the picturesque landscape. 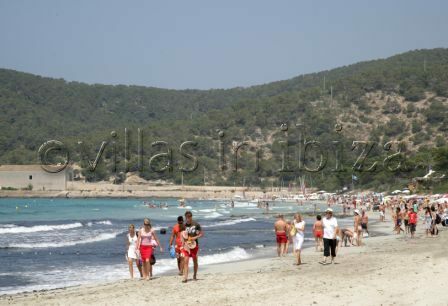 Within walking distance from the Salt Flats is Las Salinas beach, one of the Islands most exclusive locations. If you enjoy eating out, there are superb restaurants on the bay, serving food with flavours to tempt and delight. 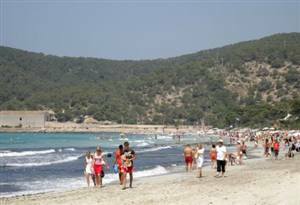 The beach is widely looked at as one of the trendiest places to be during the summer months. Several of the bars such as Jockey Club and Malibu have DJ’s playing all day and things tend to pick up pace during the evenings. Salt was so important to medieval Ibiza that criminals had to work on the salt flats for their entire sentence. Until 1715 all the residents of Ibiza Island received a share of the profit from the salt sales. After that the government took over the business and replaced the money for a salt ration. This happened up until around 1900 when the salt flats were sold off to a private company.